Who knew clothespins could be so valuable? I must admit, I don’t have many of these wooden clips lying around my home. Since I don’t line-dry my clothes and tend to use plastic froggy clips to keep my chip bags closed, I tend not to think about the importance on clothespins. Upon further research however, I’ve come to realize just how much I’m missing. Clothespins are cheap, versatile and so much fun to use for a ton of different crafts. What’s great about clothespins is kids and adults can use them. 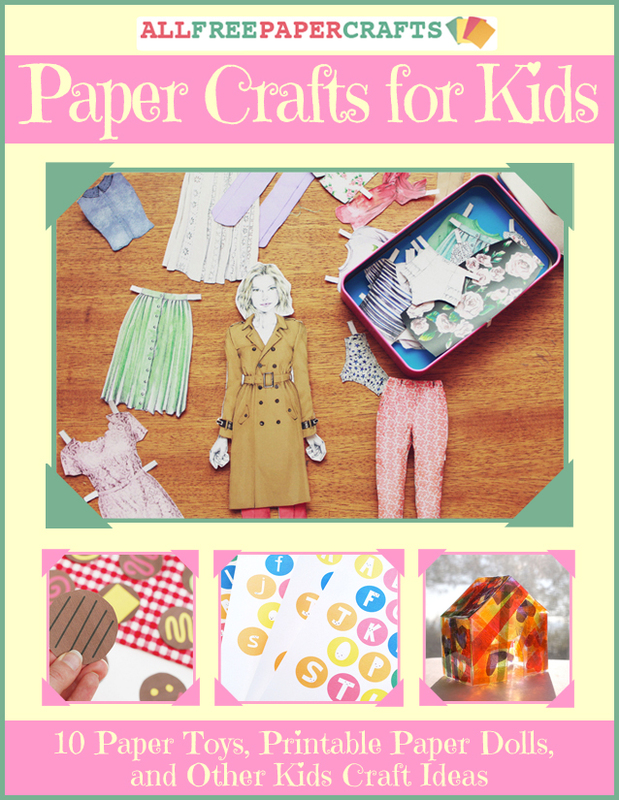 Plus, you can use materials like markers, glue, tape and paint. so many materials to decorate them. One quick and simple clothespin craft I want to try Coffee Colored Vintage Clothespins. With spray paint, instant coffee and lace scraps, you can create a delicate design that looks like it’s straight out of Downton Abbey. Christmas is coming up, so now is the time to start working on those holiday projects. Use clothespins to make a tiny Clothespin Santa and Rudolph. 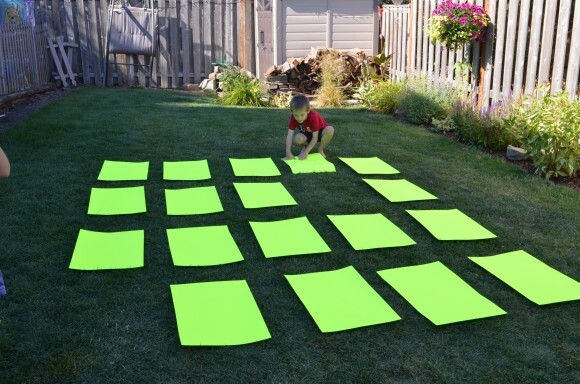 Use easy-to-find supplies like google eyes and felt for this kid-friendly craft project. If you’re looking for a simple project to make after school, check out this tutorial for Cute Clothespin Bug Magnets. Stick these creations on your fridge – they’re both useful and adorable. 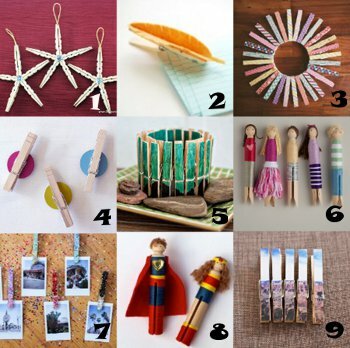 Gather up the kids or take the afternoon off and discover how many ways you can use clothespins. Who says you need to spend a fortune on craft supplies? Sometimes, you only need some simple, every day items to create the absolute best crafts. AllFreeSewing Book Giveaway: We Make Dolls! We’re always sewing clothes, accessories, bags and home dec projects. For a little change, I thought it would be fun to take a look at sewing toys and dolls! I know what you’re thinking; sewing dolls seems a bit juvenile. Is that really such a bad thing? I think we should embrace this opportunity to sew something created purely for the fun of it! If you have kids, these dolls make for a great little toys. 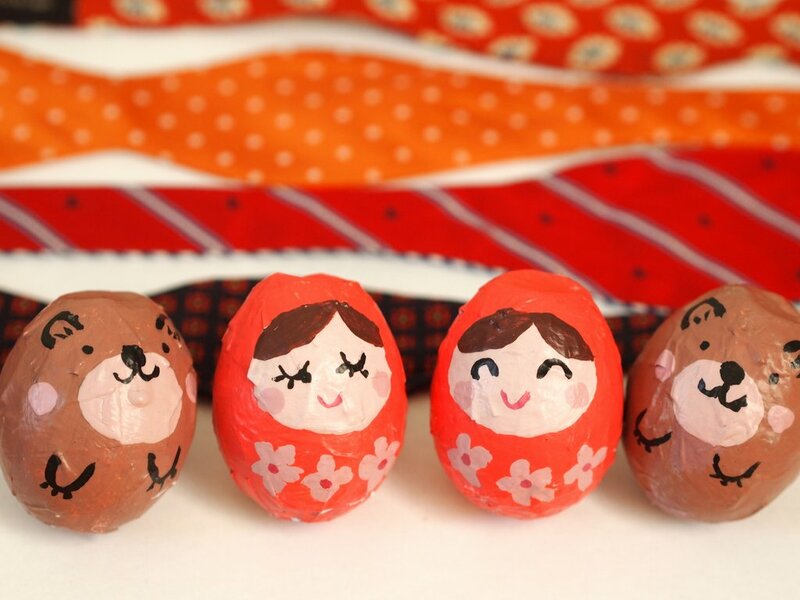 Otherwise, some of the patterns found in We Make Dolls! are perfectly suited for adults. Here’s a book for the truly unique sewist. 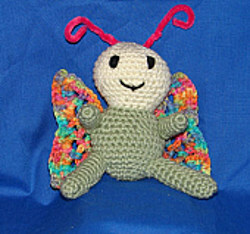 If you’re looking for inspiration to create your next quirky plush doll or toy, look no further. We Make Dolls! delivers all kinds of fun ideas including characters unseen anywhere else. Meet Super Girl, Elly the Elephant, Mr. Grumpy and more. 10 individual artists came together to create We Make Dolls!, each reflecting their own personal perspective and sewing style. 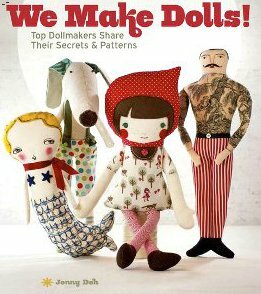 Want to win a copy of We Make Dolls!? Enter to win We Make Dolls! The giveaway period ends July 23, 2012. You can enter to win everyday so keep coming back to increase your chances! Enter to win today. Crafting in Miniature: Yay or Nay? 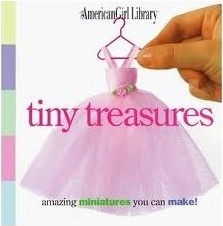 You can craft in miniature without the help of a book though! 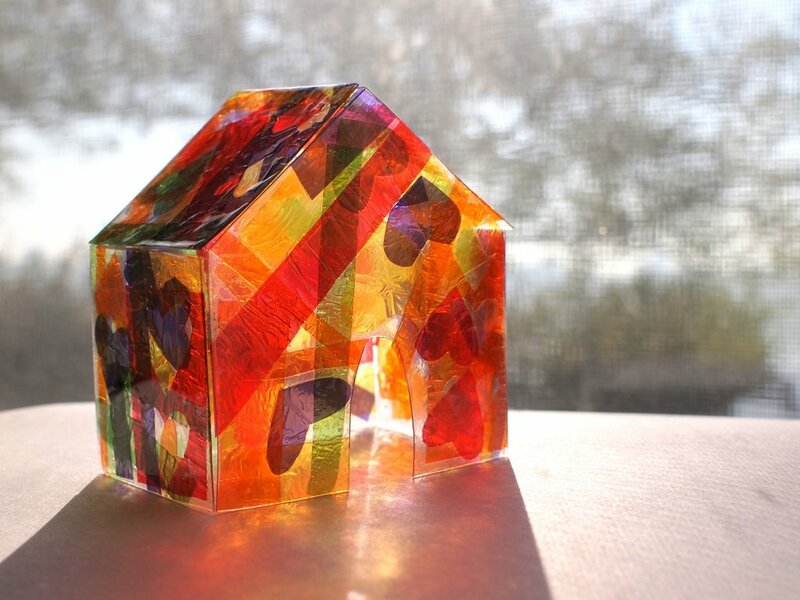 I just compiled a list of 20 Mini Handmade Craft Ideas, many of which only take a few minutes to make. 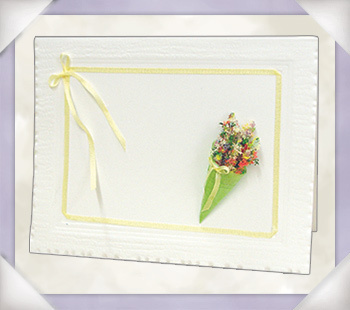 I love the Doll House Flower Pot and Mini Flower Bouquet, both from Flower Soft. They really do look like miniature flowers, and they’d be perfect if you wanted to make your own Thorne Minature Rooms! 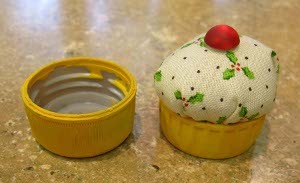 The Mini Cupcake Pin Cushion combines my love of miniatures, cupcakes, and recycling crafts. Plus, this little cutie is a useful sewing accessory, and it would make a great gift for a sewing enthusiast. 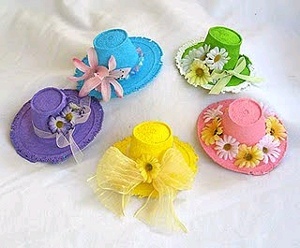 I really can’t get enough of the Mini Spring Bonnets either. They’re so colorful and festive for spring and summer parties. 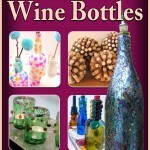 This project is also a great recycling craft, and it looks really easy too. 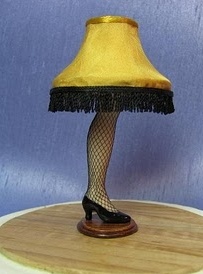 This is a miniature replica of the leg lamp from A Christmas Story, created over at Dollhouse Miniature Furniture. Amazing! If you’d like to make your own DIY dollhouse, I found instructions for that at Sutton Grace. I love the way hers turned out! 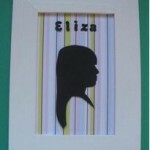 Don’t forget to check out 20 Mini Handmade Craft Ideas. And tell me: Have you ever crafted in miniature before? Is it difficult to move a front zipper to the back in a womens’ pants pattern? My mother has a 25 inch doll (head to toe) that sits in a rocking chair and I would like to make it a dress. How do I know what size to make for it. 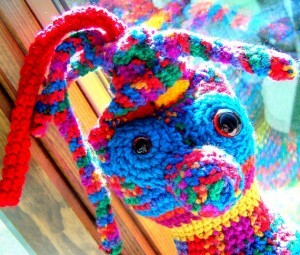 I have seen some nice patterns in knitting and crochet but not for a 25 inch doll. Can you help? I am attempting to find a tool that is used to pull the thread from braid to braid as I construct a braided rug. Using a needle and thread is a very slow and sometimes painful way of attaching the braids to each other and I recall that there is another method of doing this. Will appreciate any information that is available. Do you have any how-tos for doll glasses–wire rims no glass? I want to make a sweater for myself, but I’m only 5’2″ tall, and the instructions say it is for a woman who is 5’6″ tall! Can you help me figure out how to taper this sweater for my shorter height? I love the loom patterns for slippers but don’t have a loom. Is there a conversion available to use to knit them by hand? 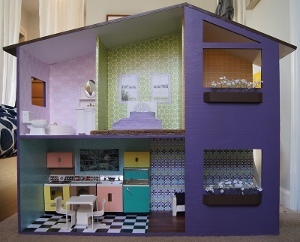 I would like to know if anyone out there has any dollhouse size patterns for rugs, bedspreads or anything else in crochet. Can you help? If so, please post a comment in the blog. 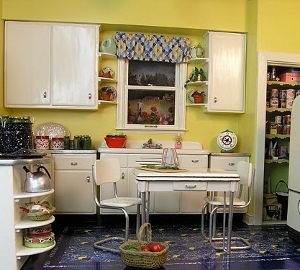 If you haved designed a dollhouse-sized pattern, we’ll publish it at FaveCrafts and credit you. Contact us. Breast Cancer is such an unfortunate illness that many women and men pass from. Unfortunately, not many people know everything there is to know about this illness. This heart-warming couple Doug and Barb Keeling are helping to raise awareness for Breast Cancer. Barb and Doug were TV soap opera actors and TV commercial actors back in their younger days. Barb was actually one of the original Charmin Girls with Mr. Whipple. After losing a childhood friend to cancer, Barb came up with this great idea of creating dolls using women’s bras. There are a variety of dolls that Barb made from the bra pads to the bra wiring, cotton bras, frilly bras, whatever you wish to use you can. You can find her bra doll pattern at keelingskrafts.com. Part of the money from the Bra Dolls Pattern is a donation to Cancer, given in the name of a friend Carrie Nisil who is going to do the 3-Day Walk in November. This 3-Day Cancer Walk benefits the Susan G. Komen for the Cure. The Keeling’s are so pleased to help with Cancer Awareness with a doll making project that is “light hearted & fun” and a benefit to a very serious issue. They hope everyone will make one of the BRA DOLLS. 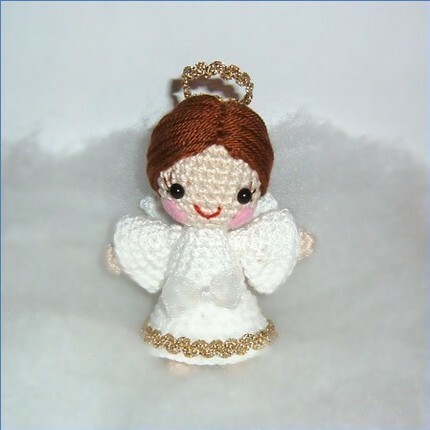 The dolls make great “Get Well” dolls for a gift to someone who is working on recovery. October is Breast Cancer awareness month, so be creative, make something of your own and support this great cause.